As the 2016-2017 school year comes to an end, many new teachers begin to plan for the next steps of their lives. While in college, these new teachers have taken hundreds of credit hours. They have taken many tests and written many papers. Many practicum hours have been logged in multiple types of classrooms. Despite all of the training they have accumulated, preparing for their own classroom can be nerve-wracking. At Have Fun Teaching, we make it our sole purpose to provide smooth-sailing in your classrooms. In addition to our many resources to help in your planning, here are 8 tips to a smooth first year of teaching. Tip 1 for New Teachers: Stay Healthy! Many of us forget that taking care of ourselves is just as important as taking care of our children. While your job is important, don’t let it take precedent over your health. You should try to get enough sleep at night. Taking your vitamins is important. If you have a gym membership, take advantage of it when possible. Remember that while documentation and lesson planning is important, so is eating a good meal. Camping, spa dates, and a relaxing night on the couch can help you to stay happy and healthy in the classroom. Your health is vital to your job, because it helps you to keep your children safe and healthy as well. Take your vitamins daily and get enough sleep in the first year. Don’t be fooled that working late into the night will help you be prepared for the next day. You will be exhausted and that is starting your day on the back foot. – Shelley G.
When you begin your first job, make sure you know what is required of you always. Know what your dress code is, and stick to it. Knowing how your school handles disciplinary actions can prevent you from wrongly disciplining a student. In many states, teachers are just as responsible about being professional in the classroom as they are in public places. Keep your social media sites professional. As a teacher, professionalism is a quality you should carry in all aspects of your life. In your classroom, you will find many different personalities and backgrounds. Get to know each child, and try to understand their behavior. The boy who won’t focus could be going without food. The girl that causes fights could be watching her parents go through a divorce. Each child has a story, and it is our job as teachers to care for them. One-on-one times are important, because they allow you to get to know your children. Children love when they see that their teachers care about them and try to help them through a difficult time. Tip 4 for New Teachers: Keep Up with What is Yours! As a teacher, you may find yourself purchasing many of your supplies out of your own pocket. It can be difficult to keep up with what is yours and what belongs to the school. Rather than forgetting what belongs to you, find a way to write your name on products you purchase. You may get a new classroom the next school year or work in a different building. Labelling your purchases prevents confusion over what belongs to the school and what belongs to you. Write your name on everything you purchase personally. You WILL NOT remember. And if you aren’t sure if it’s yours, you need to leave it when you move, change grades, change schools, etc… – Dana S.
Because of the different personalities and backgrounds of each child, there will be behavioral problems in the classroom. By going over the classroom rules on the first day and throughout the first few months, your children will know what is expected of them from the beginning. Try to have your classroom rules posted at eye level in a way they can understand. Verbally reward good behavior, and be consistent in handling poor behavior choices by presenting appropriate consequences. 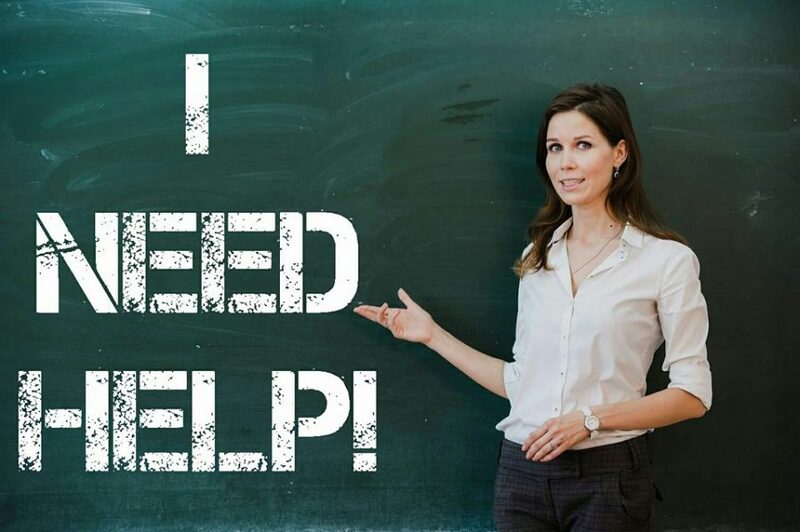 Almost every teacher in your hallway has experienced a situation similar to yours, so don’t be afraid to ask them for help. You can find behavior management resources here! Be tough on them. From day one, it is easier to relax the reins when the foundation is set than to try and catch a stampede of bulls. Also, reach out for help, big or small. – Katie S.
During discussion time after a lecture, children like to be given ample time to think about and answer a question. Providing a “pause” after a question is asked encourages children to raise their hand after they have thought about their answer. Similarly, answering a question almost immediately after it is asked discourages children and provides them with no time to think. Patience is a key quality in a teacher. Accept that all of your children will not be at the same level academically. Work with each child individually when you have the chance to. When a children has a problem, listen attentively despite the tears and stutters. Children want to know that they have your respect and that you care about their issues. Have Fun Teaching offers trainings in Patience and Respect that will guide you to making the right choices in your classroom. As is true in all aspects of your life, things don’t always go as planned. You will find throughout your first year that you are having to make many adjustments to your lesson plans due to circumstances beyond your control. A fire drill or changes in the weather can often get in the way of a lecture. Similarly, you will find that you make adjustments based on the interests of your children. While your name is above the door in the hallway, your children often help lead the class. Children love when teachers go beyond the books and the worksheets and let the lessons pertain to their interests on a topic! First thing my principal said to me in my summative this year was “thank you for being so flexible”. I never get upset when plans go awry. I just let things happen. Go with the flow. You can always do tomorrow what you had planned for today. – Denise C.
Tip 8 for New Teachers: Have Fun Teaching! When planning lessons and keeping up with trainings become too stressful, remember that we at Have Fun Teaching are here to ensure that you do just that–have fun teaching. If you are not having fun, it is likely that your children are not having fun. Visit our YouTube page for songs that will get your children excited about learning their alphabet and provide brain breaks between lessons. You can find many Worksheets and Activities that will make lesson planning easier for you. Creating a free account with Have Fun Teaching allows you to “Heart” your favorite resources and save them for later. As a new teacher, you are doing a very important job. Thank you for all of the hard work you endured to get to this new stage of your life. These tips will help your first year go smoothly and allow you and your children to have more fun and time together. « Previous Previous post: Fidget Spinner: A Stress-Reliever, Or a Mere Toy?